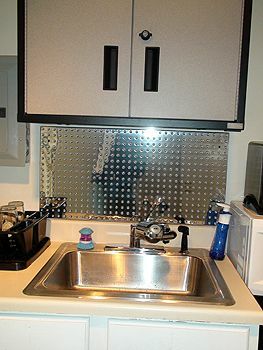 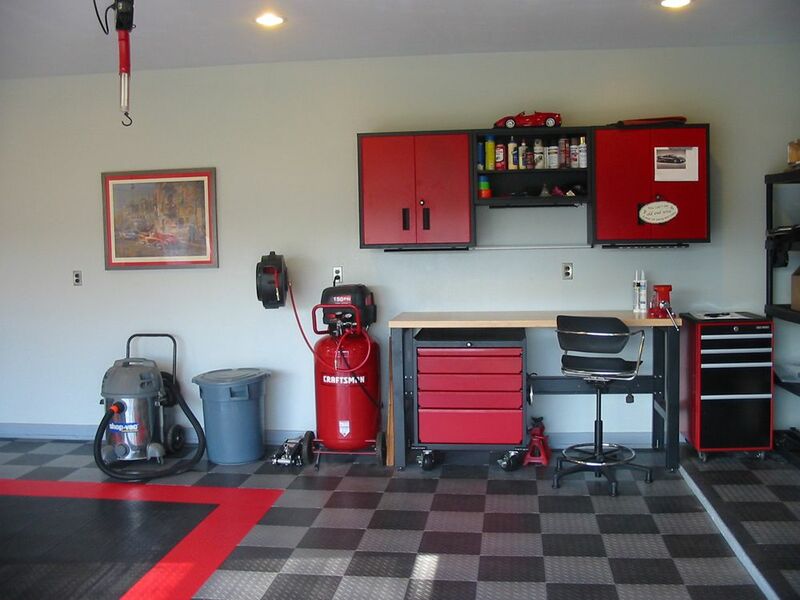 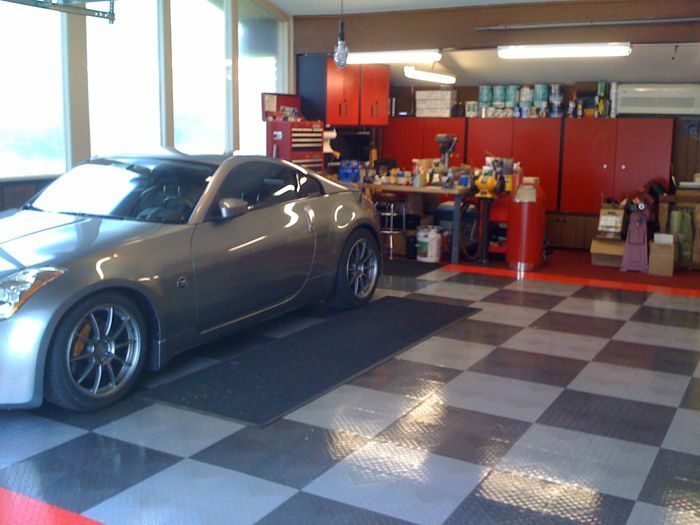 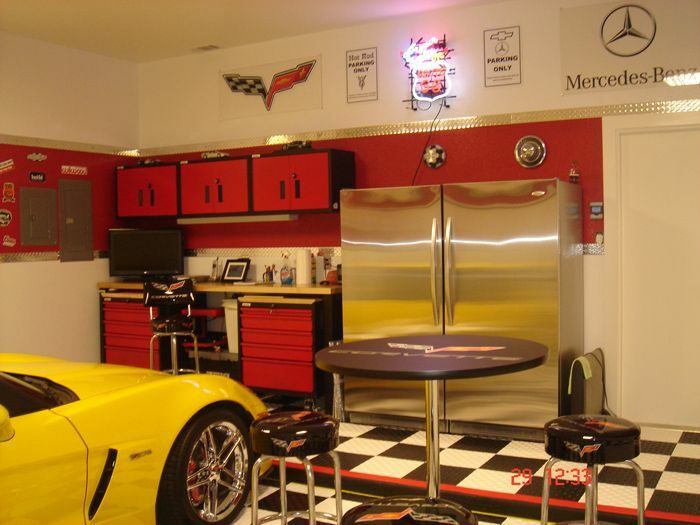 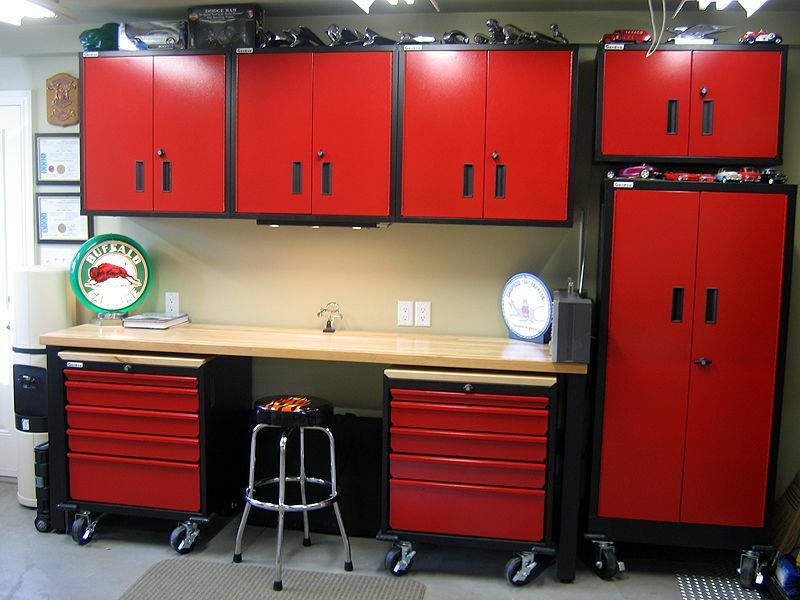 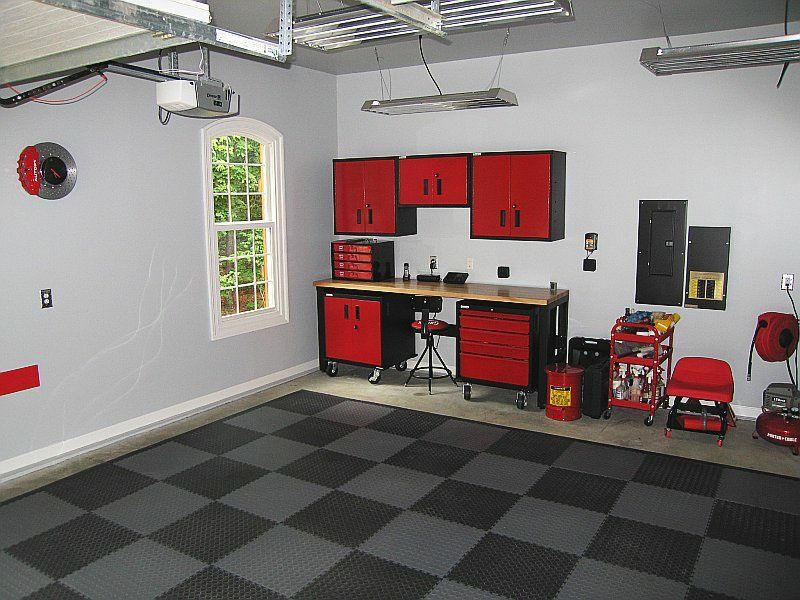 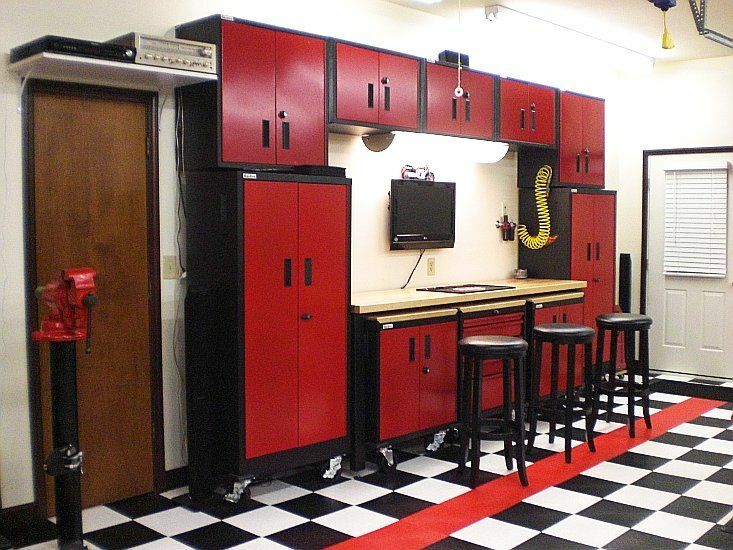 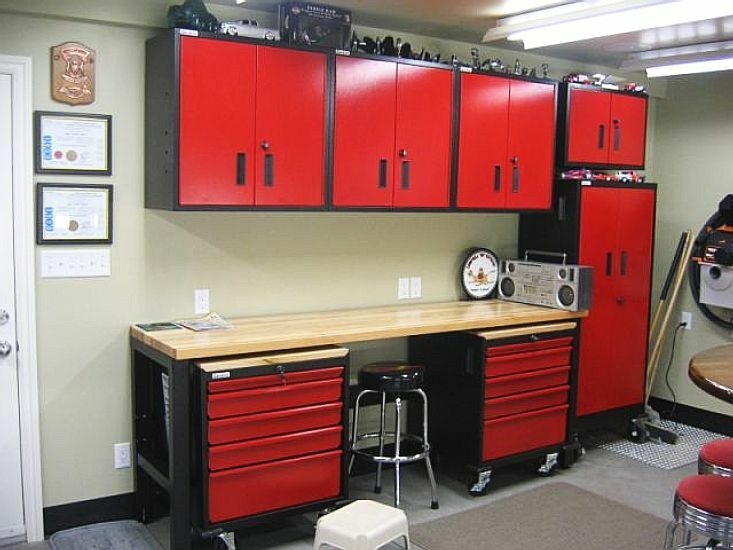 Metal cabinets can organize your garage as a weekend improvement project that will add value and convenience to your home and make you the envy of the neighborhood. 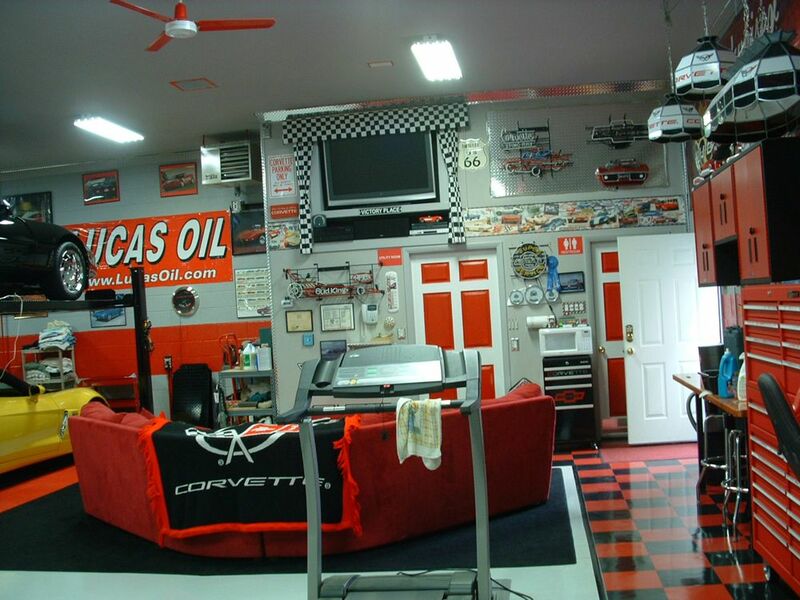 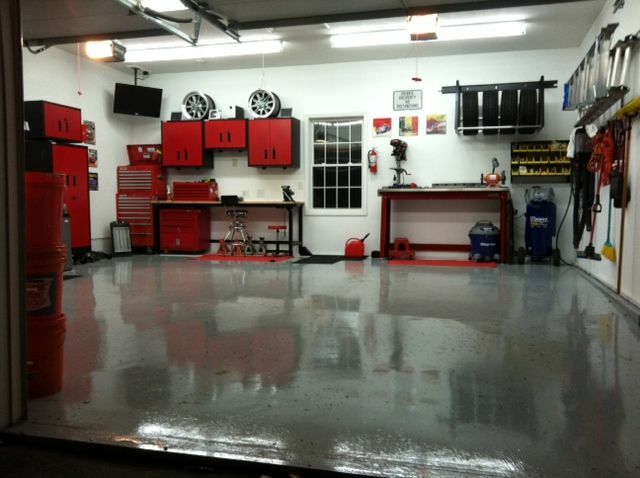 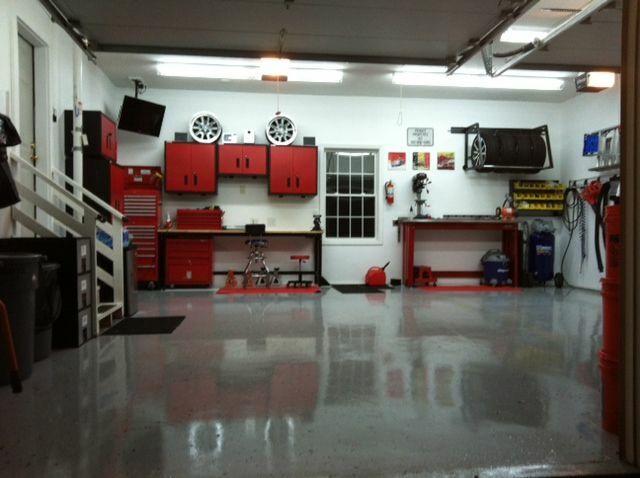 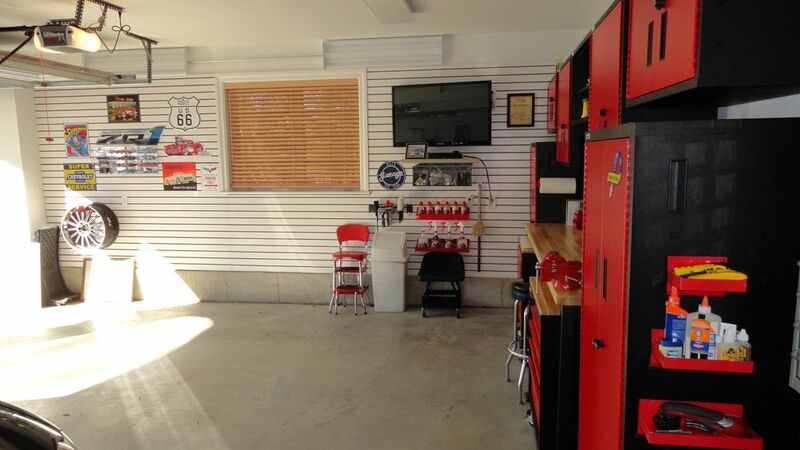 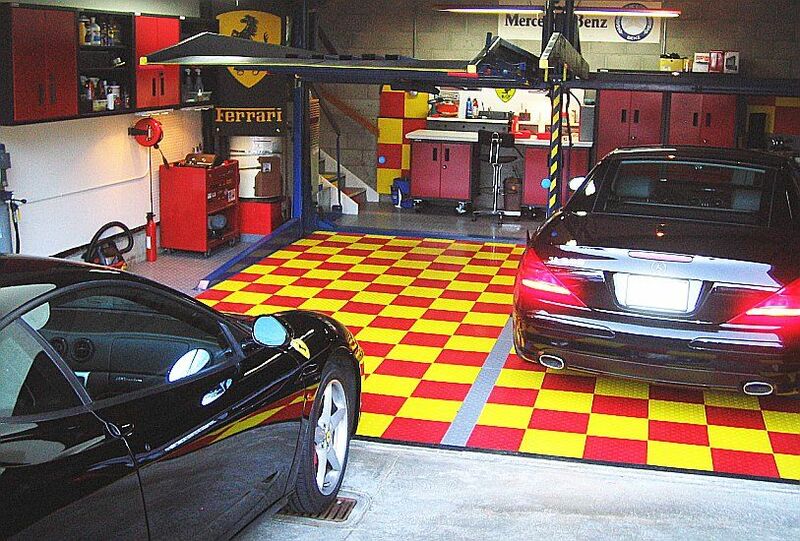 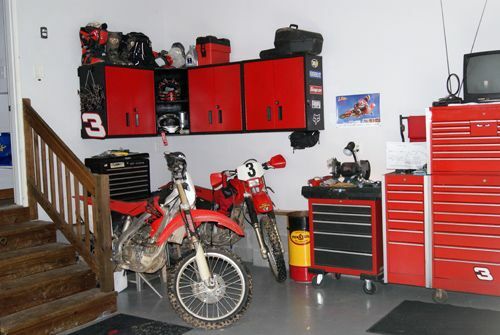 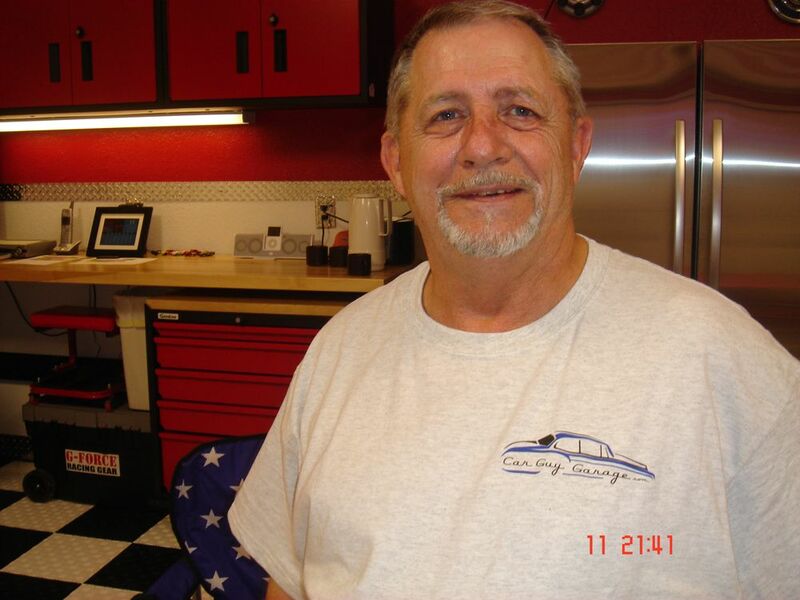 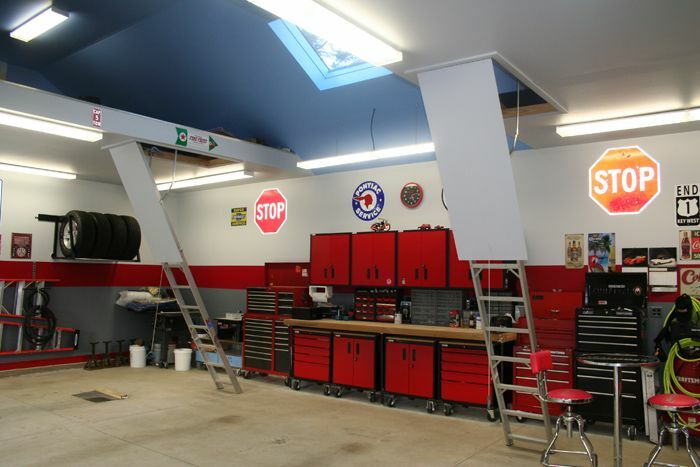 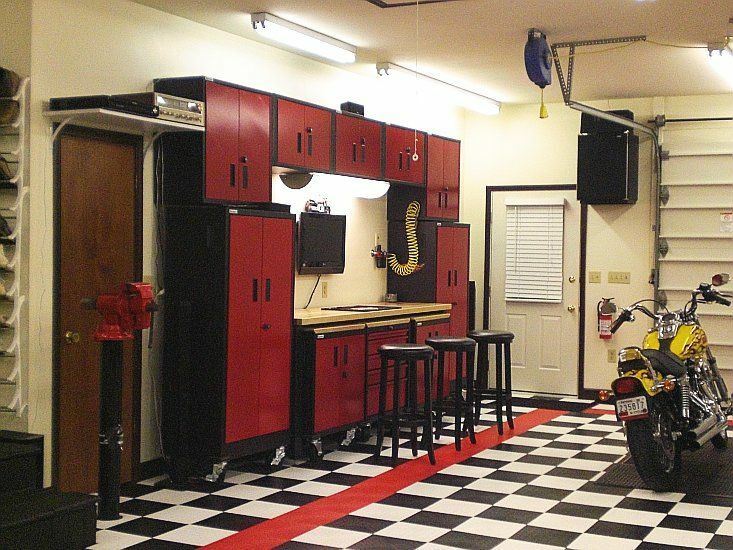 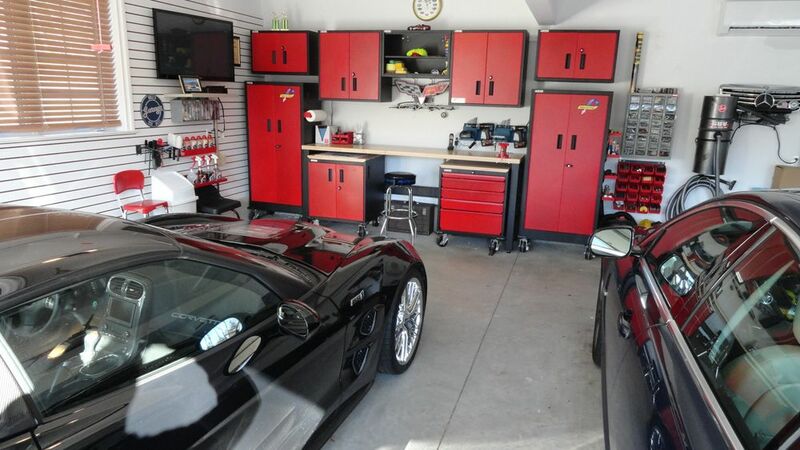 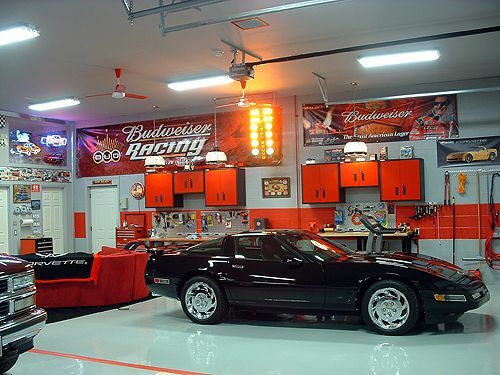 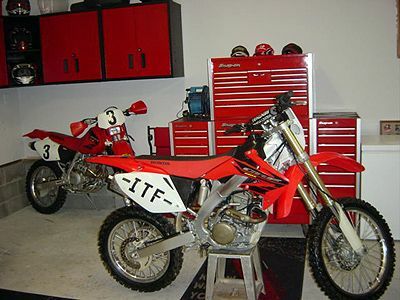 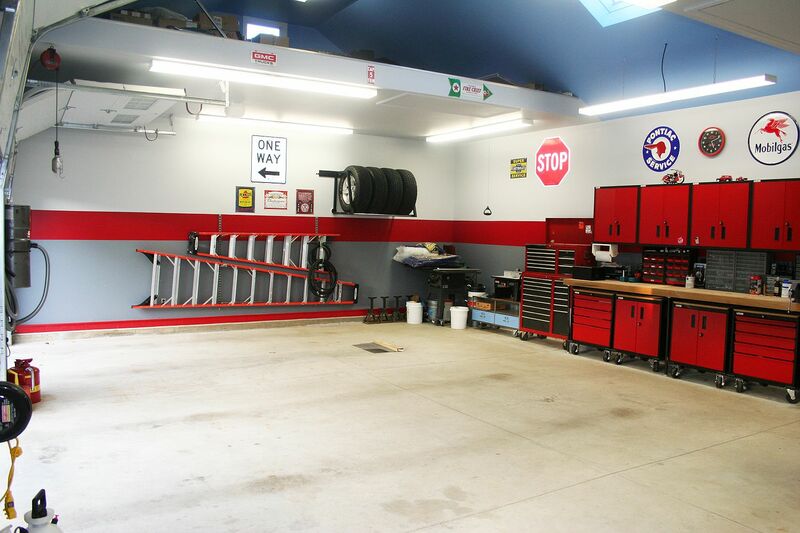 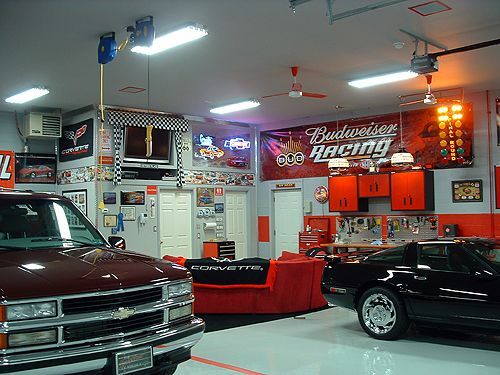 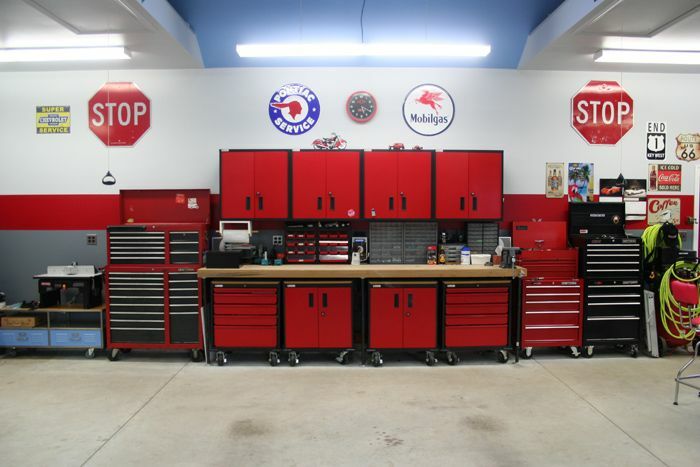 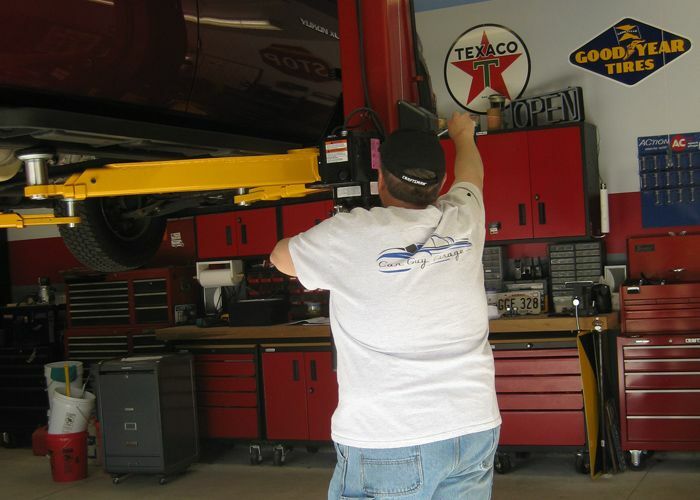 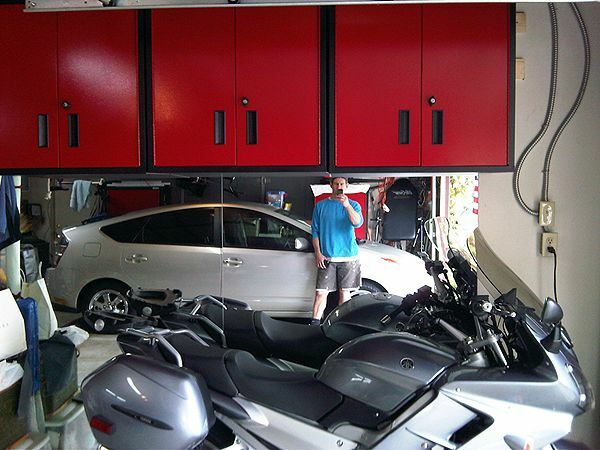 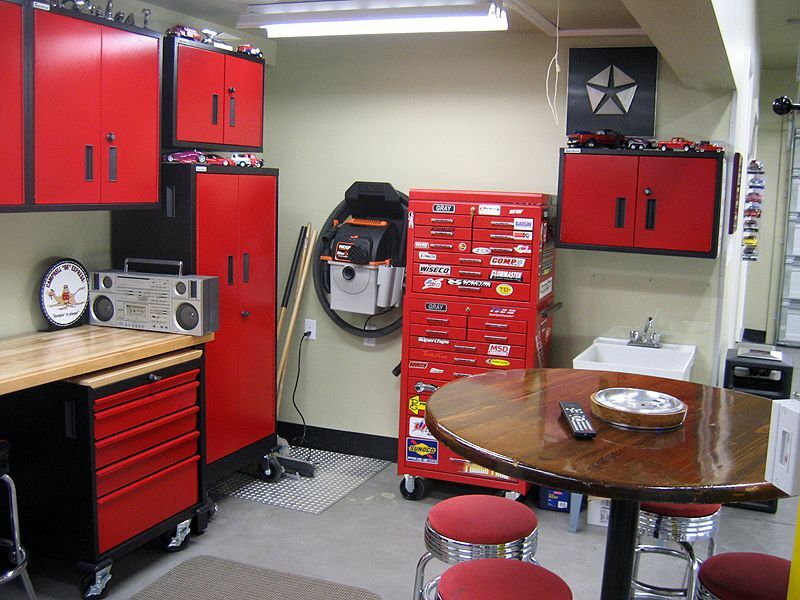 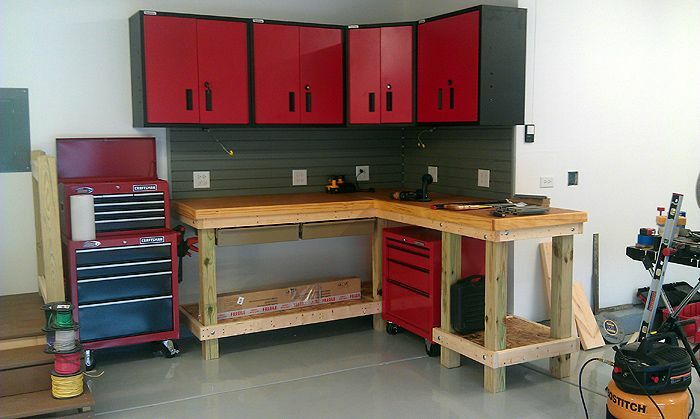 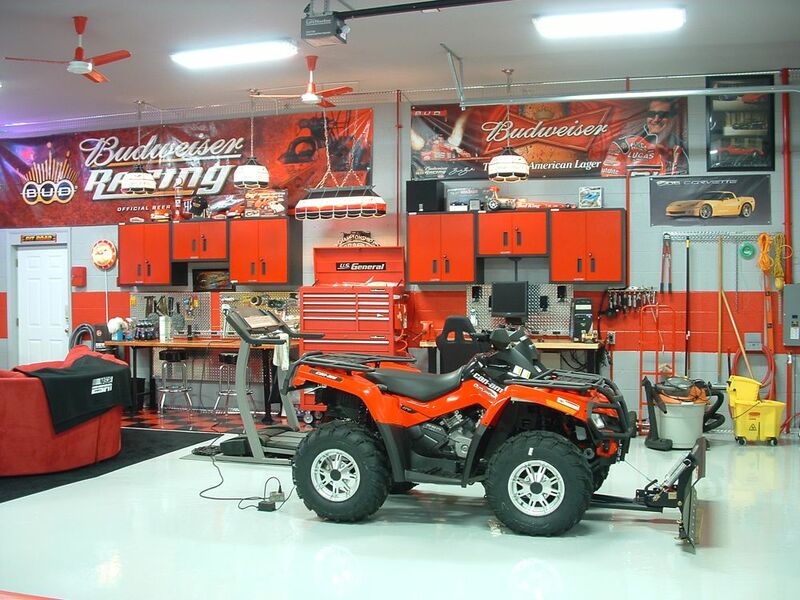 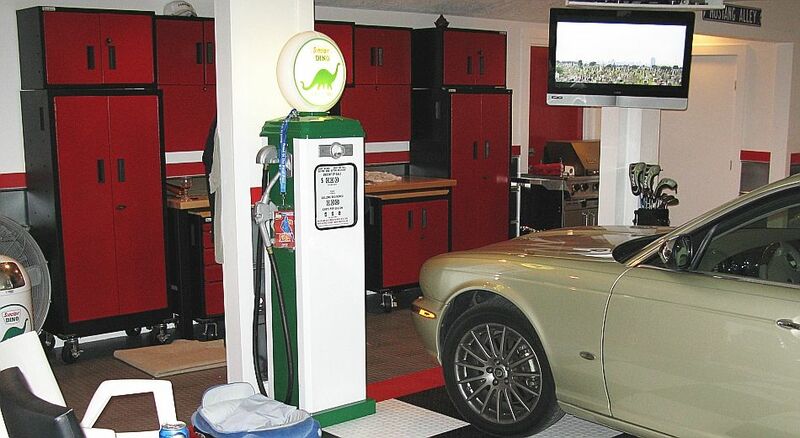 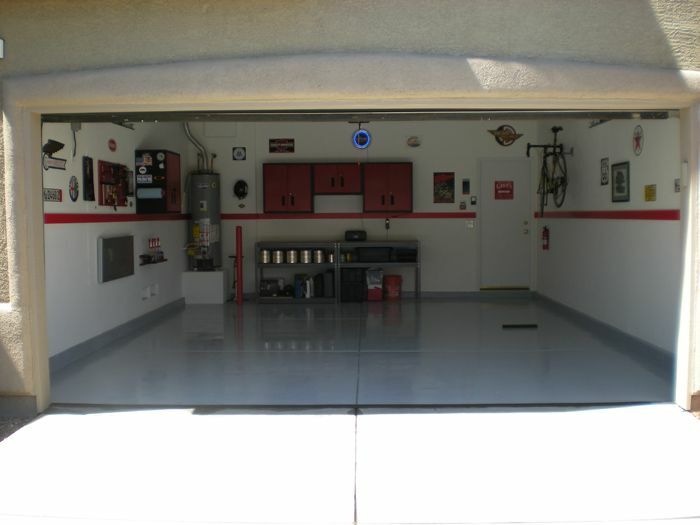 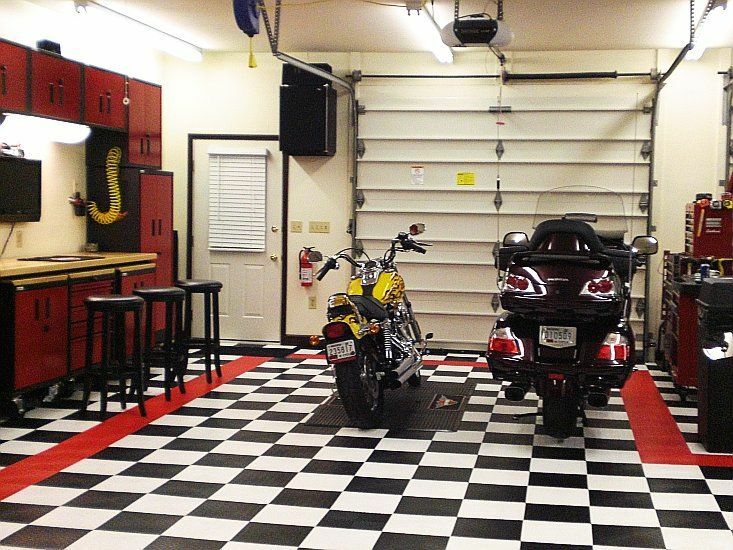 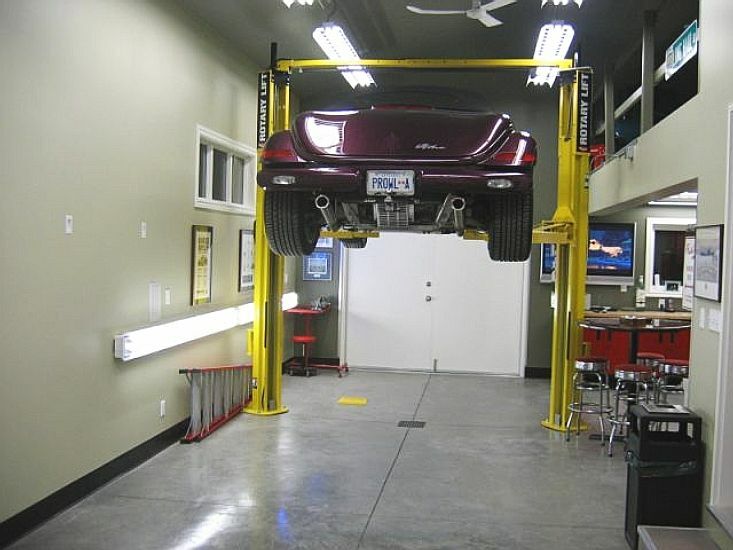 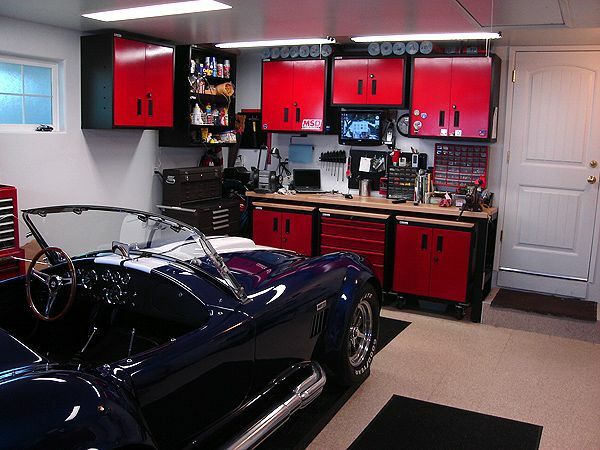 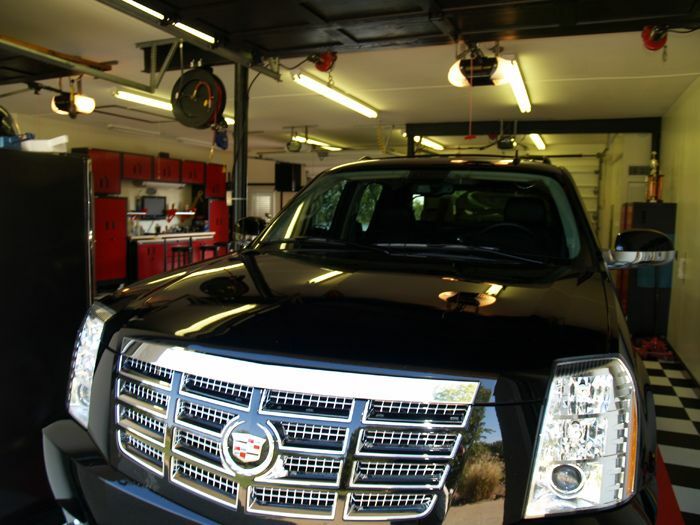 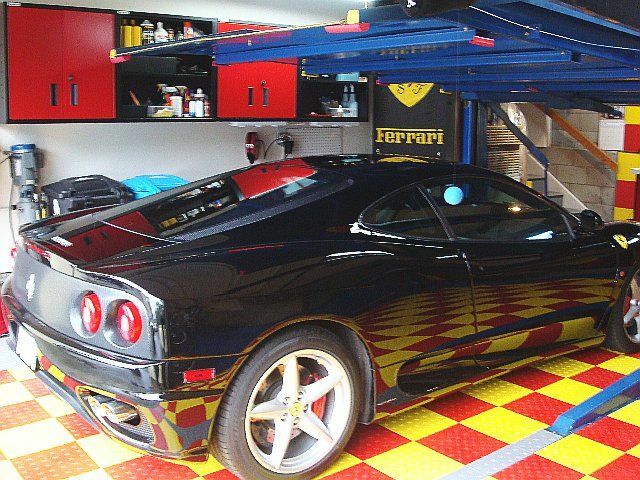 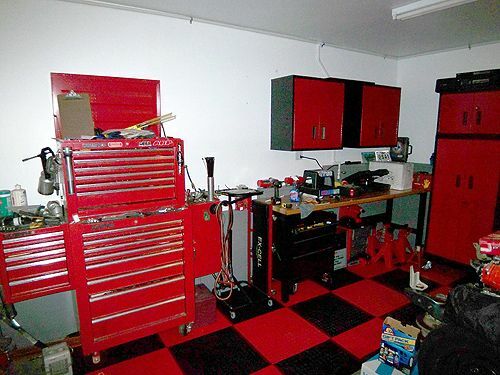 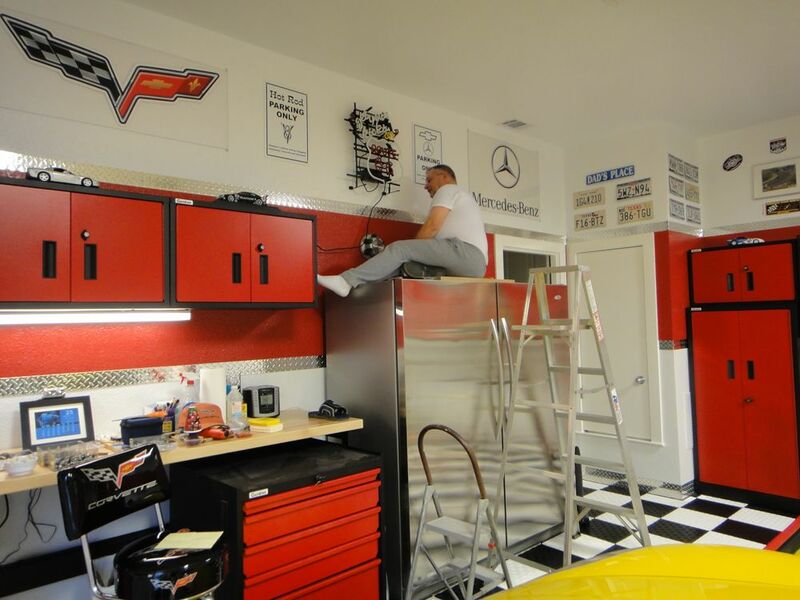 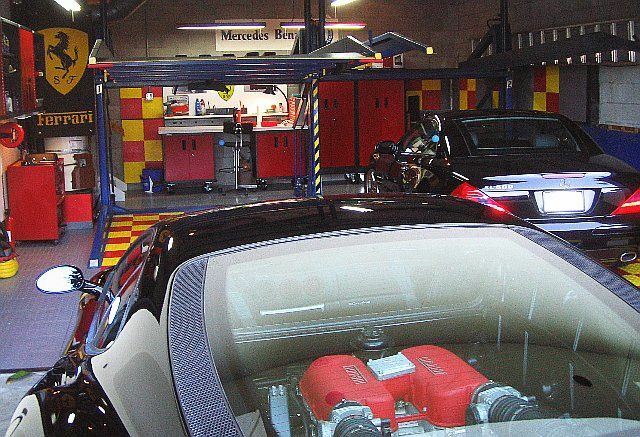 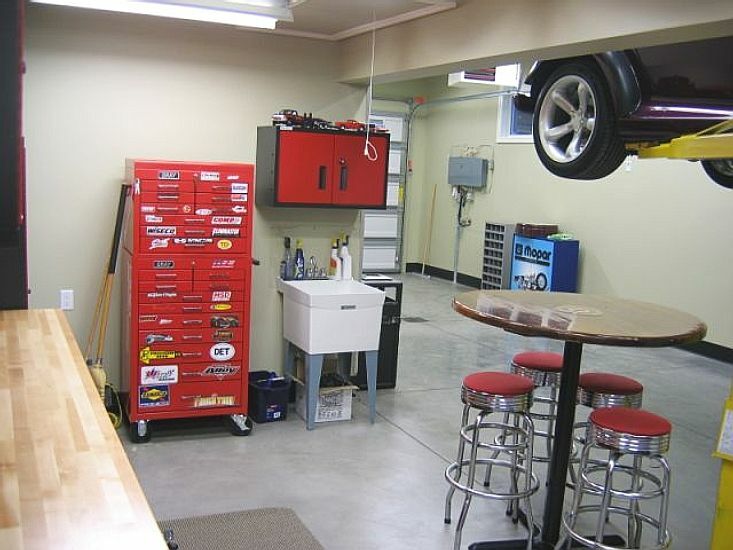 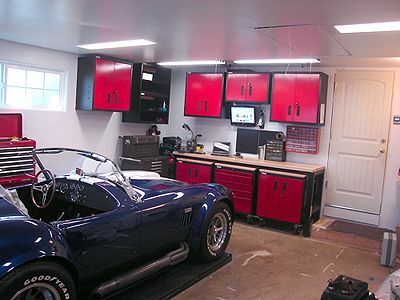 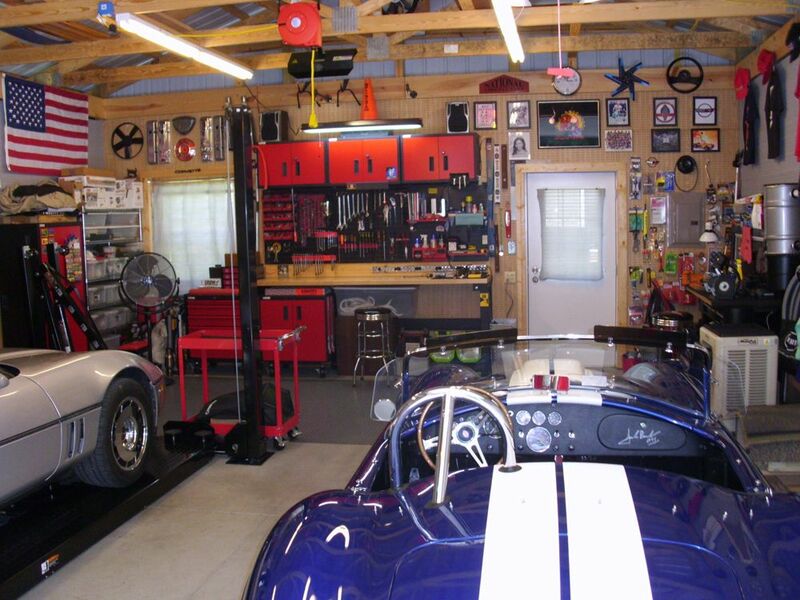 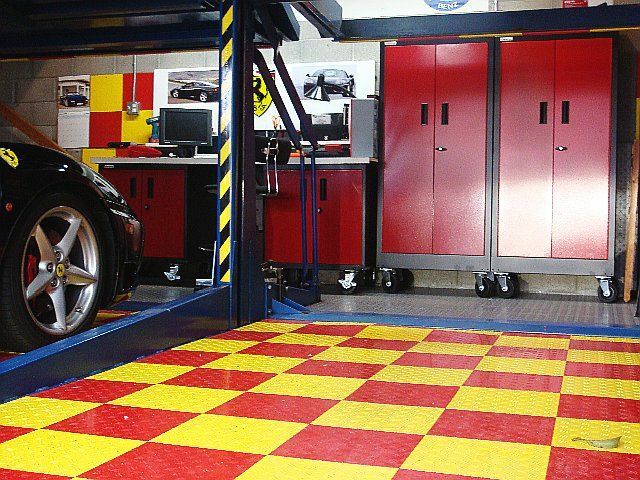 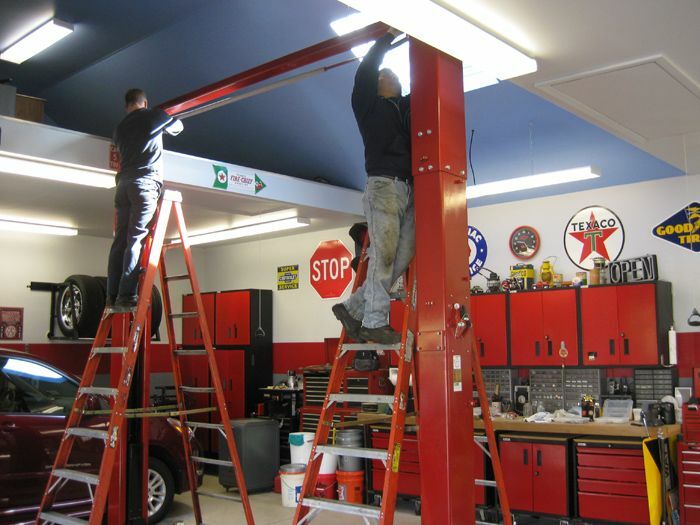 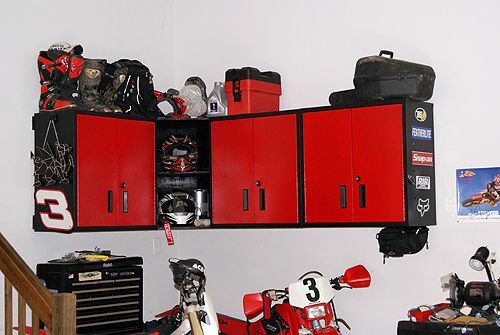 Full metal cabinets can transform your cluttered garage into an organized and functional storage area with the strength of steel to hold whatever you've got in your garage. 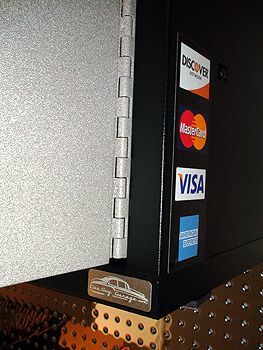 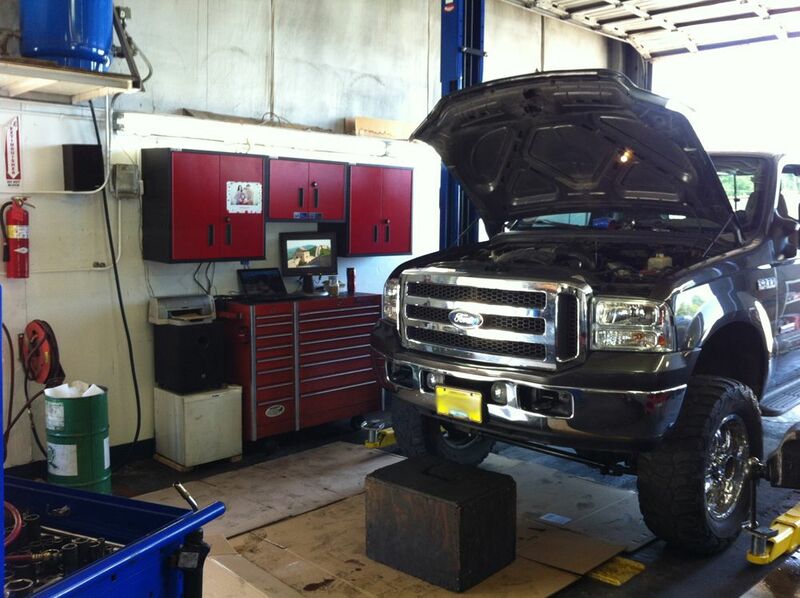 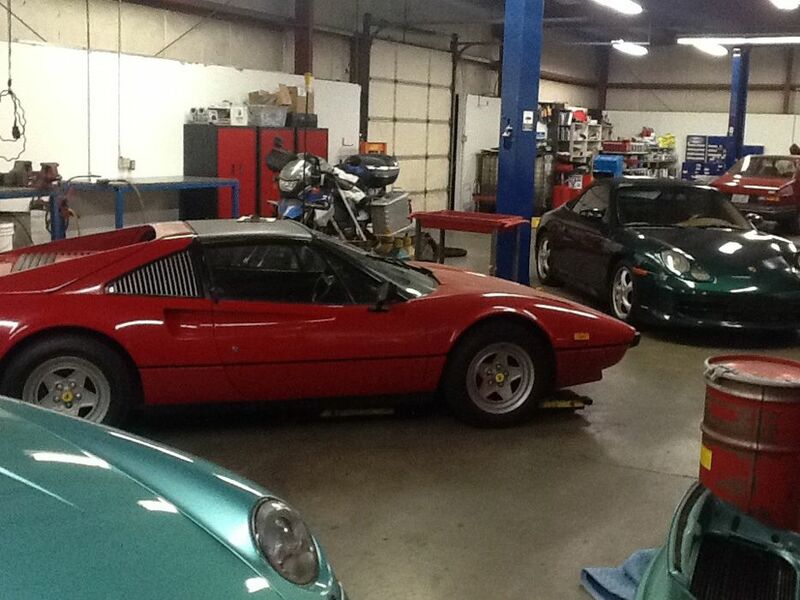 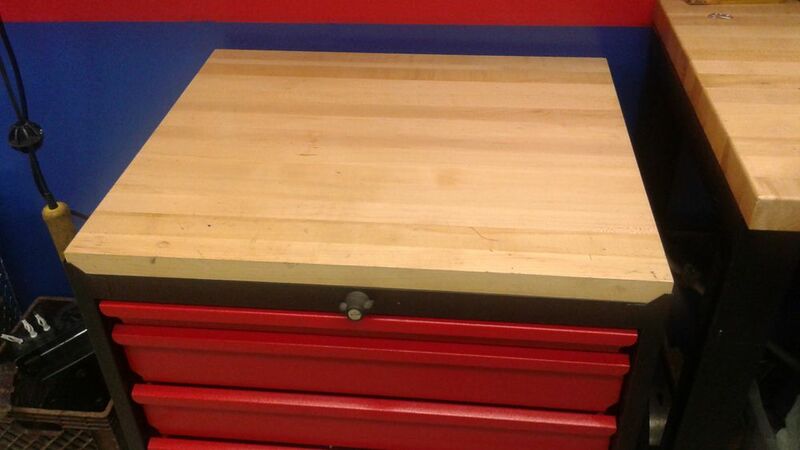 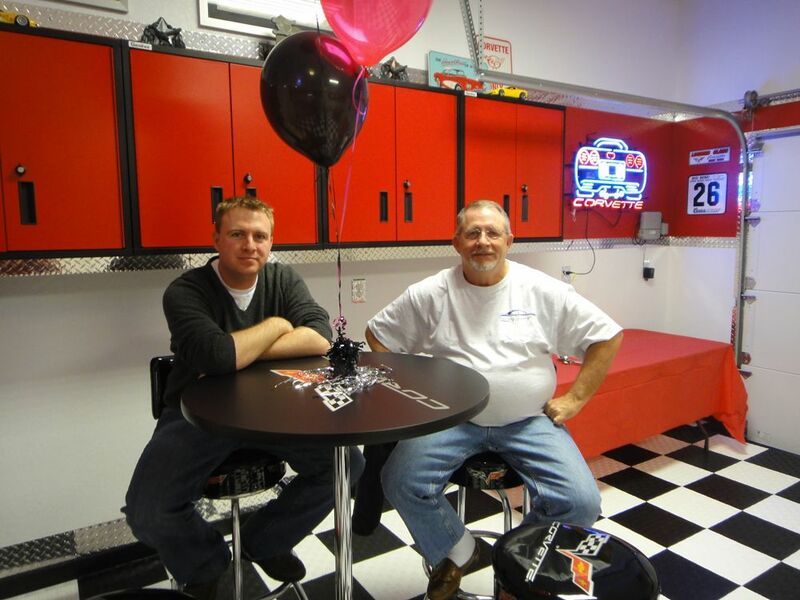 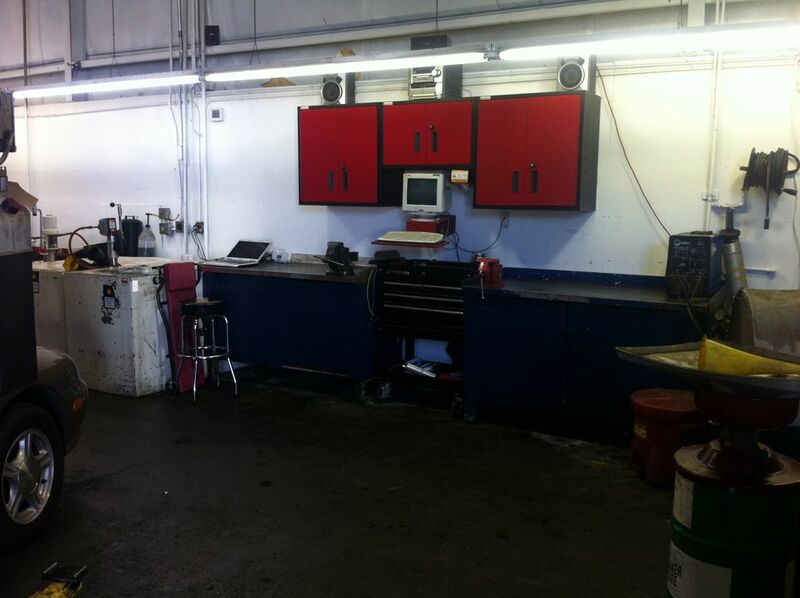 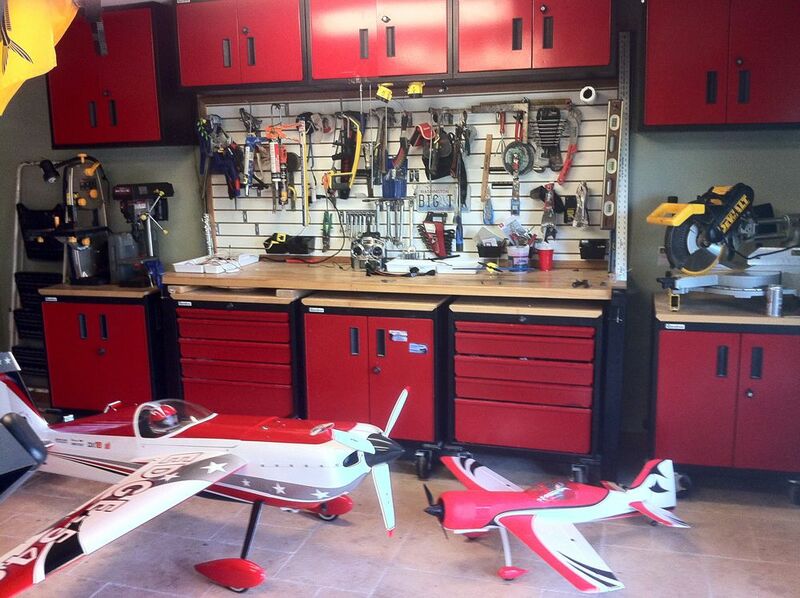 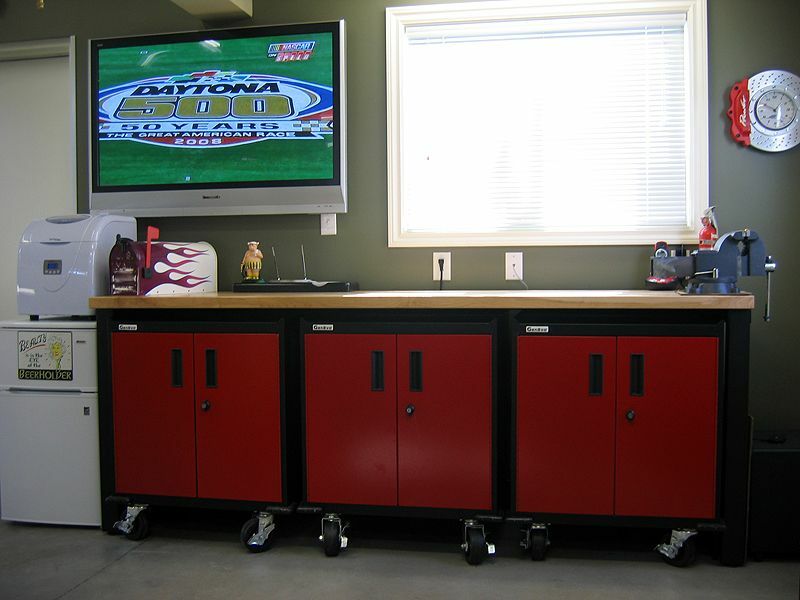 These garage cabinets are made in the USA and are shipped to your door fully welded and ready for years of use. 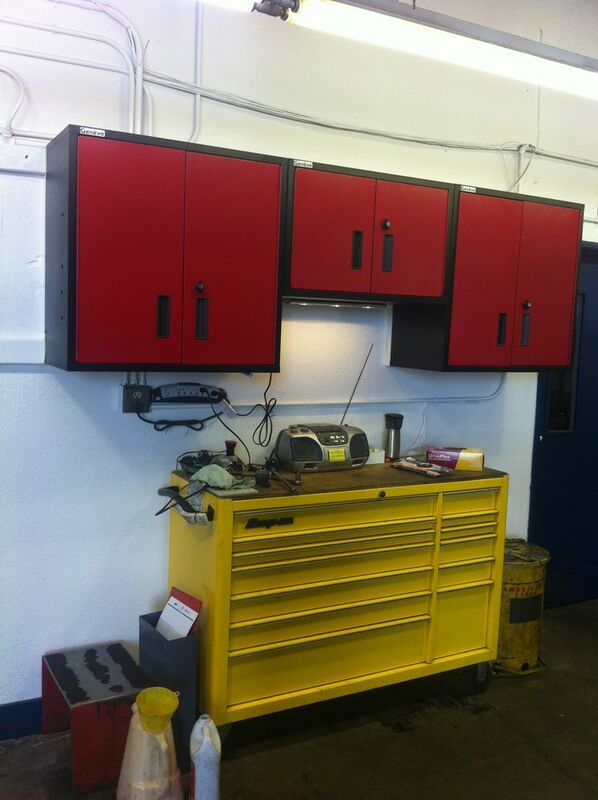 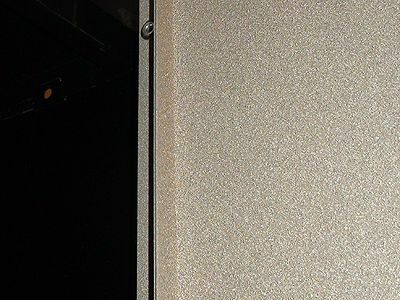 The all steel welded cabinet is iron phosphate coated then powder coated and baked in a textured finish that is resilient to shop chemicals and corrosion, formulated for industrial applications and shop grade furniture. 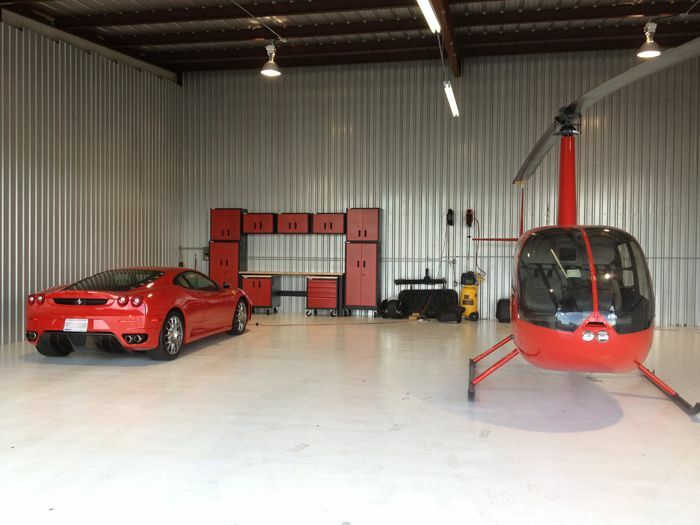 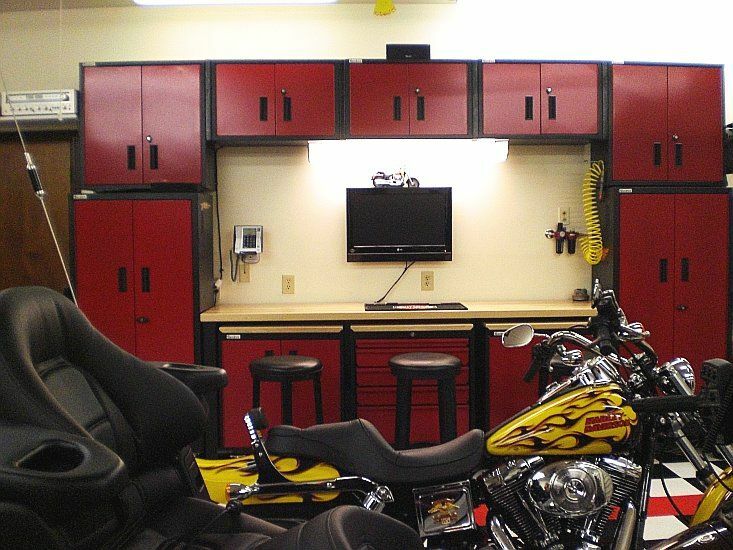 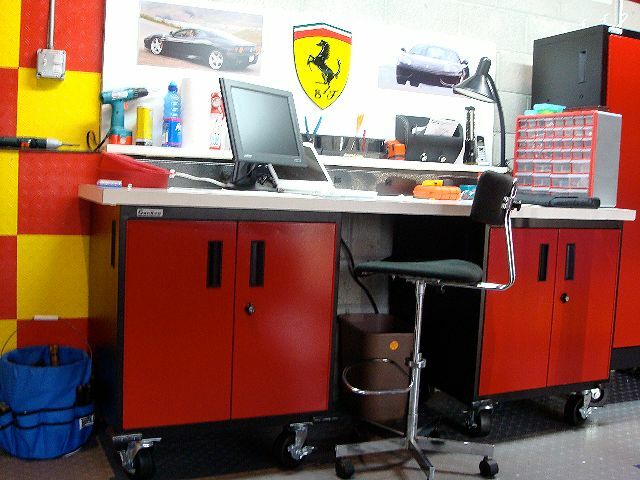 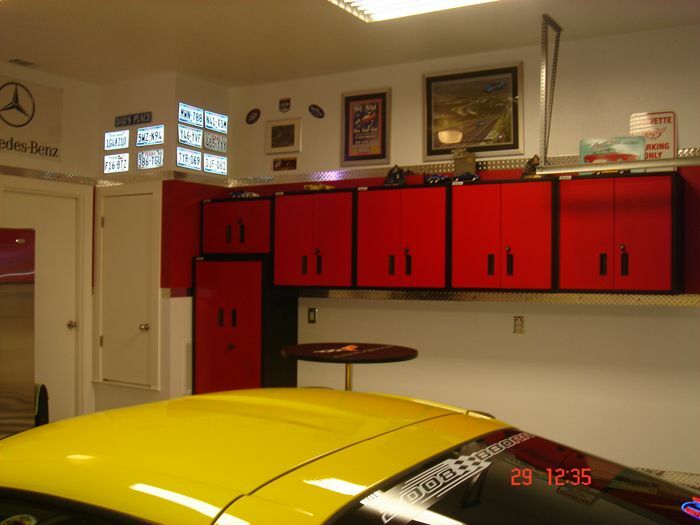 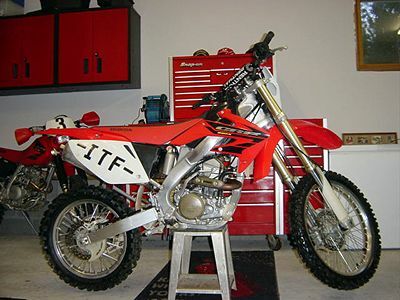 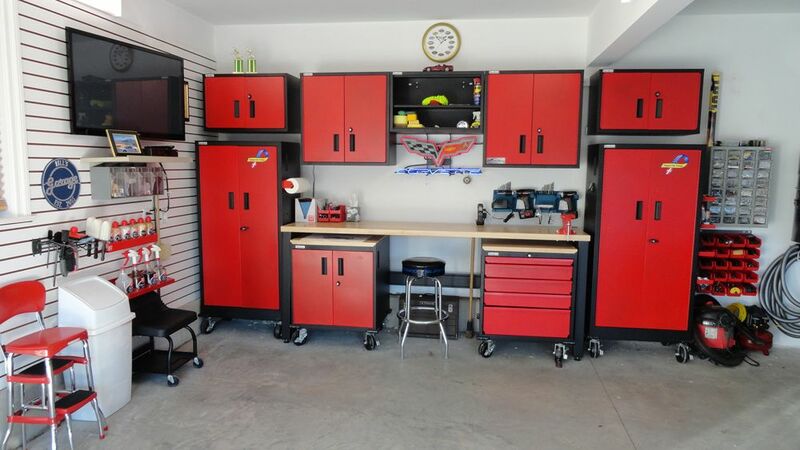 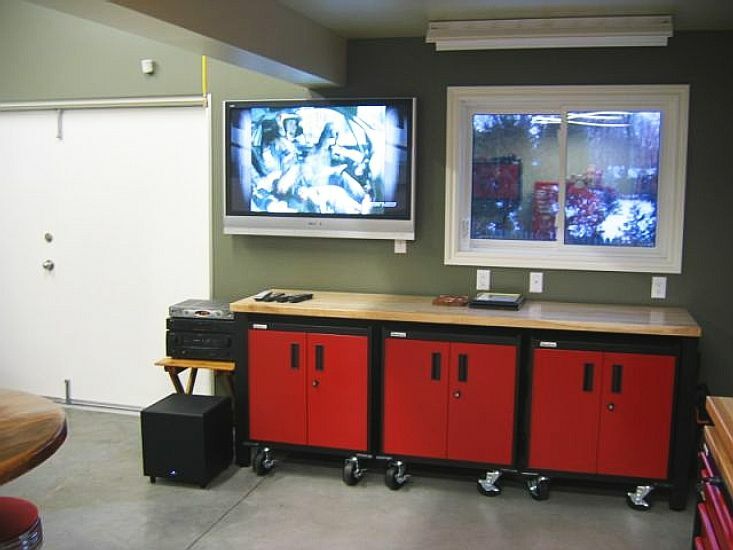 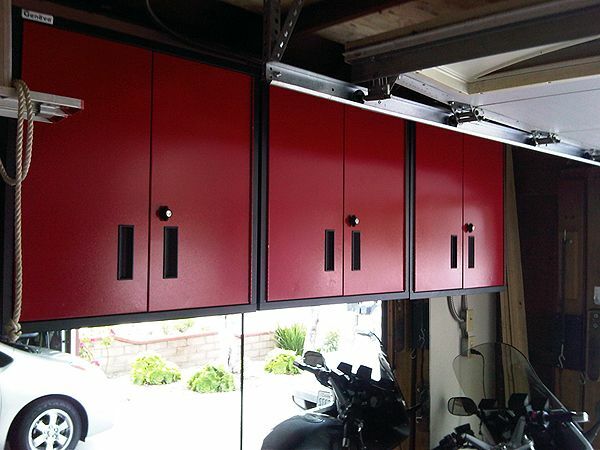 The doors of these powder coated cabinets come in either red or sandstone with the black cabinet frame making them a great fit for a garage with a red racing attitude or a more toned down look with a sandstone finish that is great at hiding dirt. 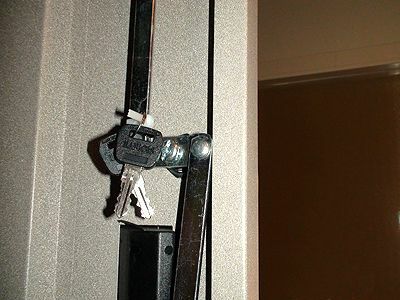 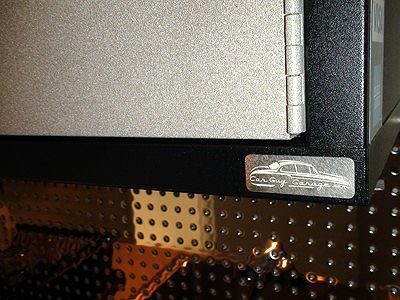 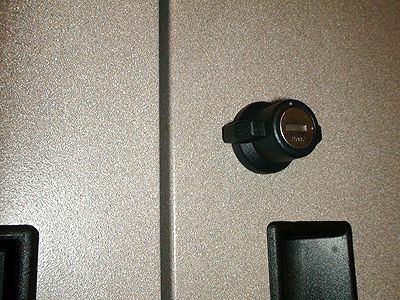 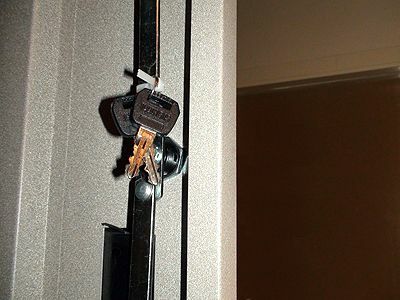 These cabinets feature welded full piano hinged doors with heavy duty keyed locks that connect to locking pins keeping the doors secure by locking them to the frame of the cabinet. 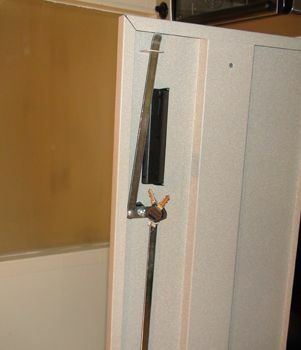 Reinforced internal door braces are welded to the inside of the doors for increased rigidity making this cabinet strong and secure. 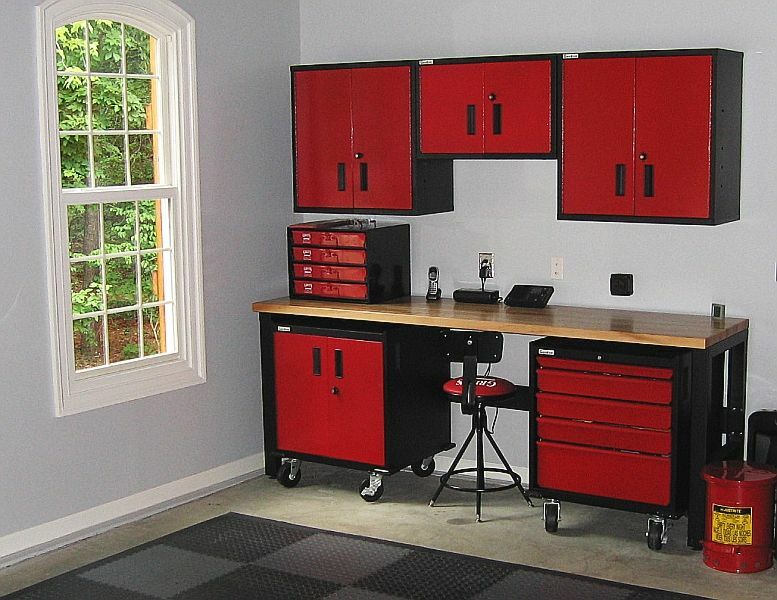 The base cabinets and storage lockers come with four heavy duty solid rubber swivel casters for increased mobility. 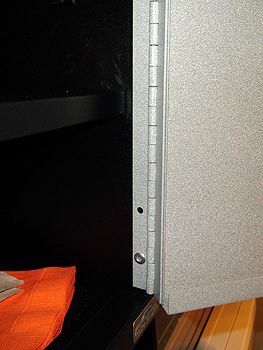 Two front locking casters with step on locks keep the cabinet in place, step again to release the locks and the cabinet can be moved again to its desired location. 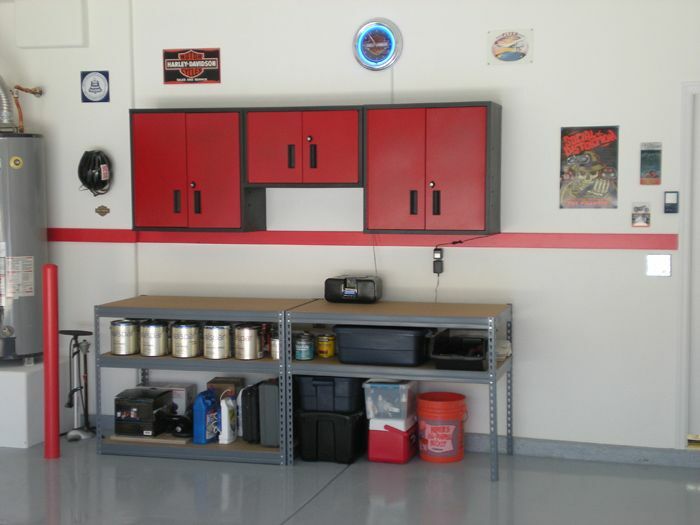 With all your cabinets on wheels cleaning out the garage is just a matter of rolling all your cabinets out, hosing out the garage, and rolling all your cabinets back into place. 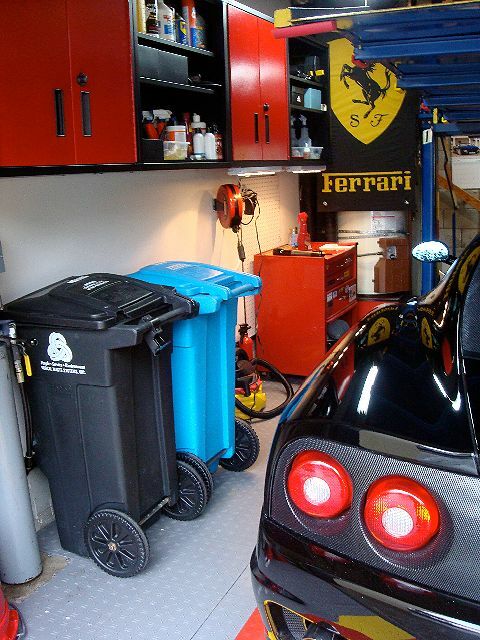 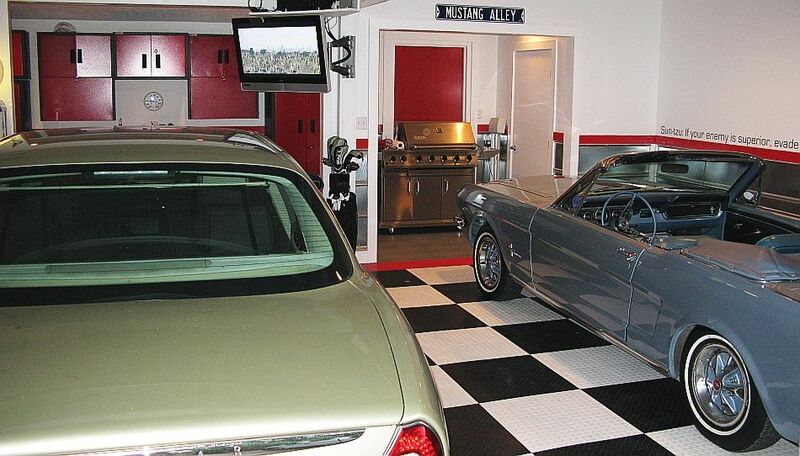 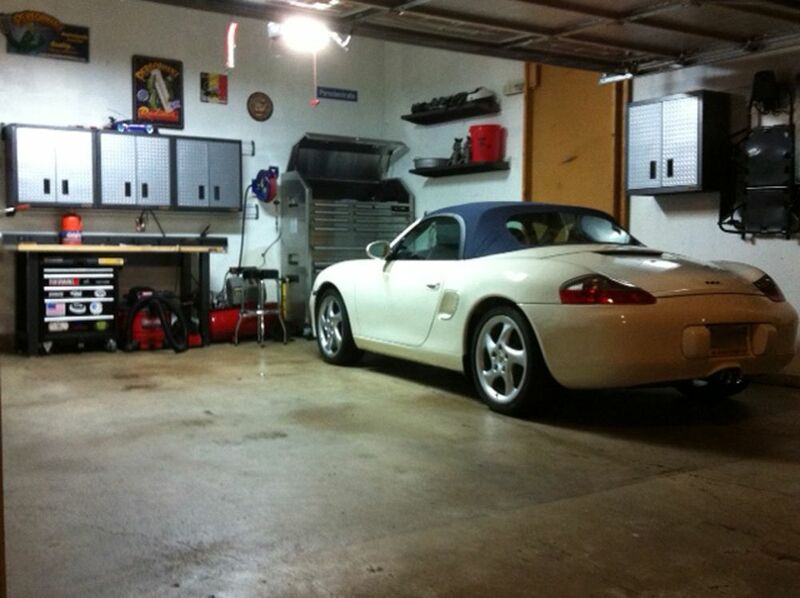 Don't struggle with moving boxes of your stuff around your garage, put it all on wheels. 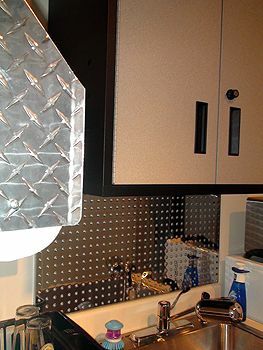 These base cabinets even come with corner bumpers just in case you get a bit too carried away and roll your cabinet into a wall. 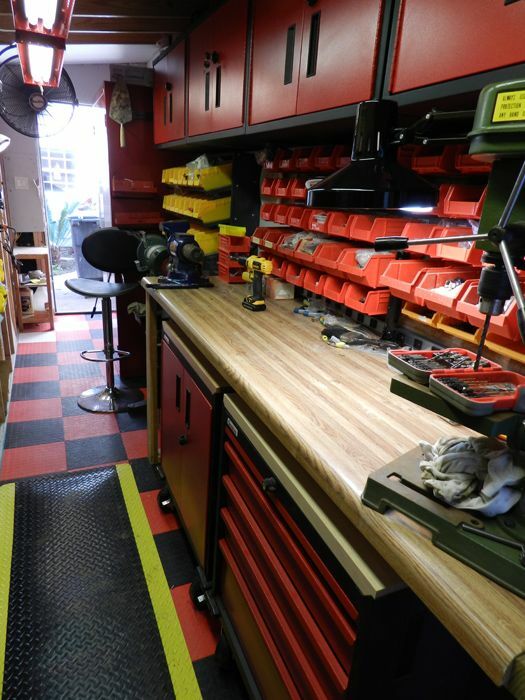 The workbench and optional base cabinet tops are made from one and three quarter inch thick hardwood maple butcher block with a radius edge to remove sharp edges and a clear lacquer for chemical resistance. 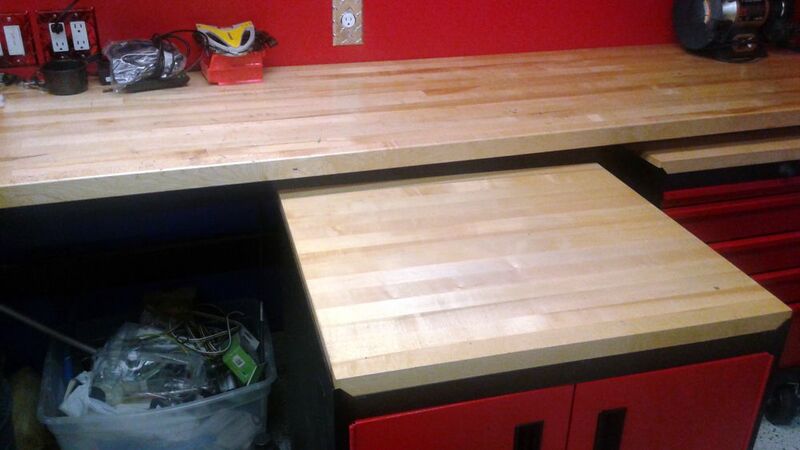 The maple butcher block not only makes for a terrific work surface, but it also adds a finished look to this cabinet line giving you industrial strength with professional style.